Around this time, the NSA intercepts telephone conversations between 9/11 mastermind Khalid Shaikh Mohammed (KSM) and 9/11 hijacker Mohamed Atta, but apparently it does not share the information with any other agencies. The FBI has had a $2 million reward for KSM since 1998 (see January 8, 1998), while Atta is in charge of hijacker operations inside the US. [Knight Ridder, 6/6/2002; Independent, 6/6/2002] The monitored calls between the two of them continue until September 10, one day before the 9/11 attacks (see September 10, 2001). The NSA either fails to translate these messages in a timely fashion or fails to understand the significance of what was translated. [Knight Ridder, 6/6/2002] However, it will later be revealed that an FBI squad built an antenna in the Indian Ocean some time before 9/11 with the specific purpose of listening in on KSM’s phone calls, so they may have learned about these calls to Atta on their own (see Before September 11, 2001). An Asia Times article published just prior to 9/11 claims that Crown Prince Abdullah, the de facto ruler of Saudi Arabia, makes a clandestine visit to Pakistan around this time. After meeting with senior army officials, he visits Afghanistan with ISI Director Mahmood. They meet Taliban leader Mullah Omar and try to convince him that the US is likely to launch an attack on Afghanistan. They insist bin Laden be sent to Saudi Arabia, where he would be held in custody and not handed over to any third country. If bin Laden were to be tried in Saudi Arabia, Abdullah would help make sure he is acquitted. Mullah Omar apparently rejects the proposal. 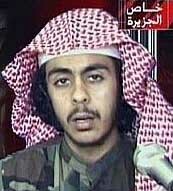 The article suggests that Abdullah is secretly a supporter of bin Laden and is trying to protect him from harm. [Asia Times, 8/22/2001] A similar meeting may also take place about a week after 9/11 (see September 19, 2001). According to a 2006 book by journalist Bob Woodward, in the months before 9/11, CIA Director Tenet believes that Defense Secretary Rumsfeld is impeding the effort to develop a coherent strategy to capture or kill bin Laden. Rumsfeld questions al-Qaeda communications intercepts by the NSA and other other intelligence. [New York Times, 9/29/2006] Woodward writes in his book, “Could all this be a grand deception? Rumsfeld had asked. Perhaps it was a plan to measure US reactions and defenses. Tenet had the NSA review all the intercepts, and the agency concluded they were of genuine al-Qaeda communications.” As a result of these doubts, on June 30, 2001, a Senior Executive Intelligence Brief (SEIB) sent to top White House officials contains an article entitled, “Bin Laden Threats Are Real” (see June 30, 2001). [Woodward, 2006, pp. 50] However, apparently this does not quell the doubts. For instance, in mid-July 2001, Tenet is told that Deputy Defense Secretary and close Rumsfeld ally Paul Wolfowitz still doubts the surge of warnings and suggests that bin Laden may merely be trying to study US reactions to an attack threat (see Mid-July 2001). The FBI shares information on terrorist threats with state and local law enforcement entities through National Law Enforcement Threat System (NLETS) reports. However, at this time, the heightened state of alert for an attack in the US is not reflected at all in these NLETS reports. The 9/11 Congressional Inquiry notes, “In a May 2001 NLETS report, for example, the FBI assessed the risk of terrorism as ‘low,’ and, in a July 2, 2001 NLETS report, stated that the FBI had no information indicating a credible threat of terrorist attack in the United States, although the possibility of such an attack could not be discounted.” Further reports focus only on the potential of attacks against US interests overseas. [US Congress, 7/24/2003] On July 5 and 6, 2001, counterterrorism “tsar” Richard Clarke specifically warns FBI officials that al-Qaeda is planning “something spectacular,” and says, “They may try to hit us at home. You have to assume that is what they are going to do.” Yet apparently the FBI doesn’t pass any of Clarke’s warnings or sense of urgent emergency to the state and local emergency responders (see July 5, 2001) (see July 6, 2001). After 9/11, Secretary of State Colin Powell will claim that the Bush administration received a “lot of signs” throughout the summer of 2001 that Islamic militants were plotting US attacks. These include al-Qaeda mentions of an impending “Hiroshima” on US soil. [USA Today, 10/15/2001] The 2002 book The Cell also describes an intercepted al-Qaeda message in the summer of 2001 talking about a “Hiroshima-type” event coming soon. [Miller, Stone, and Mitchell, 2002, pp. 288] So this appears to be a different warning than an intercepted communication in 2000 warning of a “Hiroshima-type event” (see (August 2000)), or perhaps a repeat of that. 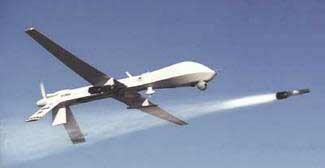 According to a later article by the Boston Globe, during various cross-country test run flights in the summer of 2001, “Some of the hijackers were seen videotaping crews on their flights. Other times, they asked for cockpit tours. Two also rode in the cockpit of the planes of one national airline, said a pilot who requested anonymity. The practice, known as ‘jumpseating,’ allows certified airline pilots to use a spare seat in the cockpit when none is available in the passenger cabin. Airlines reciprocate to help pilots get home or to the city of their originating flight.” [Boston Globe, 11/23/2001] Abdulaziz Alomari fails in an effort to sit in a jumpseat in August 2001 (see August 1, 2001). Abderraouf Jdey. [Source: FBI]A candidate 9/11 hijacker named Abderraouf Jdey is possibly arrested and then released in the US around this time, although details remain very murky. 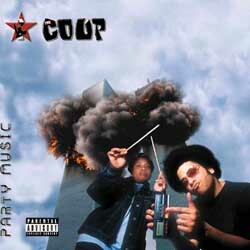 Mystery Is Unresolved - If Mowatt-Larssen is correct and Jdey was arrested before 9/11, this would have been a vital opportunity to stop the 9/11 plot, and if he was connected with Moussaoui, that would dramatically change the circumstances of Moussaoui’s arrest. It would also mean there would had to have been a cover-up of Jdey’s arrest in the years since 9/11. A confidential informant tells an FBI field office agent that he has been invited to a commando-training course at a training camp operated by al-Qaeda in Afghanistan. The information is passed up to FBI headquarters, which rejects the idea of infiltrating the camp. An “asset validation” of the informant, a routine but critical exercise to determine whether information from the source was reliable, is also not done. The FBI later has no comment on the story. [US News and World Report, 6/10/2002] Around this time, John Walker Lindh, a Caucasian US citizen who recently converted to Islam, goes to one of the training camps for the first time and learns details of the 9/11 in a matter of weeks (see May-June 2001). Also around this time, seven men from Lackawanna, New York, go to a training camp in Afghanistan and hear clues about the 9/11 attacks before they drop out after only a few weeks (see (June 2001)). Al-Qaeda Hamburg cell member Said Bahaji tells his family and his employers that he will be quitting his job and moving to Pakistan. He is working at a computer company in Hamburg, and he tells his superiors there that he will be quitting in the autumn because he has accepted an internship in Pakistan. He tells the same story to his family. However, his aunt, Barbara Arens, doesn’t believe him. She contacts the police and tries to get them to do something. But the police are uninterested because they don’t see a sign of any crime being committed. [McDermott, 2005, pp. 229-230] His internship story suggests that in June 2001, the Hamburg cell already has a rough idea when the 9/11 attacks will take place. Bahaji will leave for Pakistan on September 3, 2001 (see September 3-5, 2001). CIA Director George Tenet will later write that in June 2001, the CIA learns that Arabs in Afghanistan are said to be anticipating as many as eight celebrations. Additionally, al-Qaeda operatives are being told to await important news within days. [Tenet, 2007, pp. 148-149] This is just one of many indications word of the upcoming 9/11 attacks is spreading widely in the Afghanistan training camps in the summer of 2001 (see Summer 2001). A key Afghan training camp commander was reportedly weeping for joy because he believed he could see his trainees in heaven. [Tenet, 2007, pp. 148-149] The CIA also heard in May that operatives are disappearing and preparing for martyrdom (see May 2001). Story Includes Attack Killing over 1,000 in New York - The storyline the writers come up with begins at an al-Qaeda training camp in Afghanistan. There, a man who is a devotee of bin Laden tells a group of children that he is going to America on a mission for Allah, which the whole world will know about soon. Using a United Arab Emirates passport, he then enters the US across the Canadian border in a rental car. After arriving in New York, he sets off explosives in the subway under Times Square, killing over 1,000 people. [Los Angeles, 4/2002; USA Today, 12/5/2002] Clues then lead to a bioterrorist release of anthrax being discovered. The story culminates in the threat of a release of smallpox. 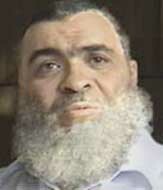 9/11 hijacker associate Ramzi bin al-Shibh allegedly meets with Zacarias Moussaoui in Karachi, Pakistan. This information comes from bin al-Shibh’s interrogations after he is captured in late 2002 (see September 11, 2002). If they meet, it will not be revealed what they discuss. However, around this time, bin al-Shibh reportedly gives Moussaoui the e-mail address of an unnamed contact in the US. [Washington Post, 11/20/2002] Moussaoui has been taking flying lessons in the US from February until June 2001 (see February 23-June 2001). His visa expired in May 2001 and he did not renew it or get a new one, so if he did leave the US, it is unclear how he manages to get back in by the time he resumes flight training there in August. [MSNBC, 12/11/2001; US Congress, 10/17/2002] In late June, bin al-Shibh travels to Malaysia (see Late June 2001). It is uncertain how reliable any of the information from bin al-Shibh’s interrogations is, especially since bin al-Shibh may be tortured (see Late 2002). In response to some hijacking incidents abroad, an FAA advisory committee looks at the FAA’s longstanding “preemptive surrender” approach regarding the response to attempted hijackings. [Freedom Daily, 12/7/2005] This policy, called the Common Strategy, teaches “flight crews that the best way to deal with hijackers [is] to accommodate their demands, get the plane to land safely, and then let law enforcement or the military handle the situation,” according to the 9/11 Commission. [9/11 Commission, 7/24/2004, pp. 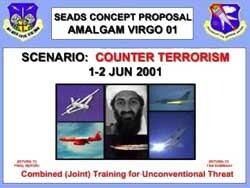 85] Less than three months before 9/11, the FAA advisory committee decides to upgrade the training manuals and official guidance for responding to hijacking attempts. The updated materials are to be available some time in the fall of this year. FAA official Mike Morse says the new scenario prepared for in training “will be one involving a team of hijackers with a higher degree of sophistication and training.” In addition, the scenario will “replicate what we’ve faced in some of the international hijackings abroad in recent years.” [Freedom Daily, 12/7/2005] An exercise to study the new policy will take place during the summer (see Summer 2001). Category Tags: Osama Bin Laden, "Lackawanna Six"
Category Tags: Counterterrorism Action Before 9/11, "Lackawanna Six"
Steve Hadley. [Source: NATO]Deputy National Security Adviser Steve Hadley circulates a draft presidential directive on policy toward al-Qaeda. Counterterrorism “tsar” Richard Clarke and his staff regard the new approach as essentially the same as the proposal that they developed in December 2000 and presented to the Bush administration in January 2001 (see December 20, 2000 and January 25, 2001). The draft has the goal of eliminating al-Qaeda as a threat over a multi-year period, and calls for funding through 2006. It has a section calling for the development of contingency military plans against al-Qaeda and the Taliban. Hadley contacts Deputy Defense Secretary Paul Wolfowitz to tell him these contingency plans will be needed soon. However, no such plans are developed before 9/11. Defense Secretary Rumsfeld and others later admit that the contingency plans available immediately after 9/11 are unsatisfactory. [9/11 Commission, 3/24/2004; 9/11 Commission, 3/24/2004] The draft is now discussed in three more deputy-level meetings. The New York Times will later report that, according to senior government officials, “A top secret report warned top officials of the FBI in the months before Sept. 11 that the bureau faced significant terrorist threats from Middle Eastern groups like al-Qaeda but lacked enough resources to meet the threat.” The internal assessment finds that virtually every major FBI field office is undermanned for evaluating and dealing with the threat from groups like al-Qaeda. The report gives detailed recommendations and proposes spending increases to address the problem. [New York Times, 6/1/2002] The report is the result of “MAXCAP 05,” short for maximum feasible capability, an evaluation effort launched by Dale Watson, the head of the new counterterrorism division created in 1999 (see December 1999), to identify the FBI’s weaknesses in counterterrorism and remedy them by 2005. It is presented to Robert Mueller upon his appointment as FBI director in early September. [9/11 Commission, 7/24/2004, pp. 78-79; Zegart, 2007, pp. 142] The report will not be made public. 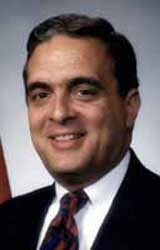 [New York Times, 6/27/2007] However, in August 2001, acting FBI Director Tom Pickard meets Attorney General John Ashcroft to ask for supplemental funding for counterterrorism, but his request is turned down. On September 10, 2001, Ashcroft rejects a proposed $58 million increase in FBI counterterrorism funding for the next year’s budget (see September 10, 2001). White House counterterrorism chief Richard Clarke gives National Security Adviser Condoleezza Rice a checklist, describing what to do if there is a terrorist attack. Clarke will later recall that he and Rice “had discussed what we would do if and when another terrorist attack hit.” This month, he gives her “a checklist of things to do after an attack, in part to underline my belief that something big was coming and that we needed to go on the offensive.” [Clarke, 2004, pp. 2] Details of what is included in the checklist are unstated. 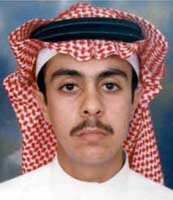 9/11 hijacker Ahmed Alhaznawi departs Saudi Arabia, traveling to the United Arab Emirates (UAE). [Federal Bureau of Investigation, 10/2001, pp. 151 ] According to the 9/11 Commission, Alhaznawi may have had a passport with an indicator of Islamic extremism (see Before November 12, 2000). Such indicators were used by the Saudi authorities to track some of the hijackers before 9/11 (see November 2, 2007), so the Saudis may register his departure. Exercises Consider a Hurricane Striking the State - Members of the Disaster Coalition now participate in two tabletop exercises and technology tests, to assess the program’s readiness and the thoroughness of the program’s strategy. The exercises, which are led by the SEMO, are based around the scenario of a major hurricane hitting Long Island. Participants will subsequently consider both exercises to have been successful. It will be determined that the Disaster Coalition is ready to deal with an emergency, and the necessary infrastructure is in place to implement an effective and unified public-private response to a major catastrophic event in the state. Coalition's Response Plan Will Be Activated on 9/11 - The Disaster Coalition will play a significant role a few weeks later, following the terrorist attacks on the World Trade Center. Its representatives will assemble at the Insurance Emergency Operations Center in Albany, where they will work as part of a team on behalf of the victims of the attacks. The New York State Insurance Disaster Response Plan will be activated within two hours of the collapses of the Twin Towers. Despite the unprecedented challenge the attacks present, the financial needs of most victims who file insurance claims will be met. Furthermore, the number of complaints will be unusually low for such a huge catastrophe. Despite nearly 19,000 insurance claims being made, only 20 complaints will be filed. Associates of the 9/11 hijackers call a number in Yemen also called by the radicals who bombed two US embassies in East Africa in 1998. The calls, which MSNBC says are made “in the weeks before the attacks,” are presumably to an al-Qaeda communications hub in Sana’a, Yemen, run by Ahmed al-Hada, an associate of Nairobi embassy bomber Mohamed al-Owhali (see August 4-25, 1998). The number is monitored by US intelligence at this time and is also called by the hijackers themselves (see Early 2000-Summer 2001), at least one of the calls being around this time (see (August 2001)). But it is not clear what intelligence the NSA and CIA gleaned from these calls or which associates of the hijackers make the calls. [MSNBC, 10/3/2001] However, it is thought that one of the hijackers’ associates, Ramzi bin al-Shibh, met with an associate of al-Hada’s in Yemen the year before (see Before October 12, 2000) and traveled to Yemen before the bombing of the USS Cole (see October 10-21, 2000). Future 9/11 hijacker Khalid Almihdhar allegedly tells a cousin about the upcoming 9/11 attacks. According to author James Bamford, during a one month trip to Saudi Arabia (see June 1, 2001 and July 4, 2001), Almihdhar talks to a cousin in Saudi Arabia. He tells him about the upcoming attacks in the US and mentions that there are five attacks planned. He adds that the attacks were originally planned for May, and then July, but now they are going to take place in September. He says that Osama bin Laden has said of the attack, “I will make it happen even if I do it by myself.” He also asks his cousin to watch over his home and family, because he has a job to do. Bamford will not say what his source for this is, or who learns this information, or when. [Bamford, 2008, pp. 64] The incident will not be mentioned in the 9/11 Commission Report. Deputy Defense Secretary Paul Wolfowitz gives a commencement address at the United States Military Academy graduation at West Point, New York, where he focuses on the danger of surprise attacks. To an audience of about 15,000 people, he points out that 2001 marks the 60th anniversary of the attack on Pearl Harbor—“a military disaster whose name has become synonymous with surprise”—and notes that, “Interestingly, that ‘surprise attack’ was preceded by an astonishing number of unheeded warnings and missed signals.” He continues, “Yet military history is full of surprises… Very few of these surprises are the product of simple blindness or simple stupidity. Almost always there have been warnings and signals that have been missed.” He says one of the reasons these warnings have so often been missed is “a routine obsession with a few familiar dangers,” which “has gotten whole governments, sometimes whole societies, into trouble.” He stresses the need to “use the benefit of hindsight to replace a poverty of expectations with an anticipation of the unfamiliar and the unlikely,” thereby overcoming “the complacency that is the greatest threat to our hopes for a peaceful future.” [US Department of Defense, 6/1/2001; US Department of Defense, 6/2/2001] Journalist James Mann will later reflect on this speech, saying that Wolfowitz “was more prescient than he could have imagined. 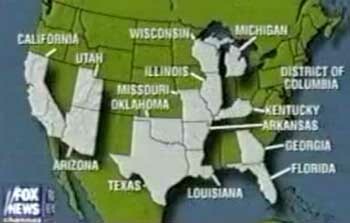 America was about to be attacked. Once again the United States was unable to deal with the unfamiliar and the unlikely. Once again there were unheeded warnings and missed signals.” [Mann, 2004, pp. 29] In spite of his words of caution, around this time Wolfowitz himself appears to be ignoring the danger of a possible attack by al-Qaeda. In July, he will reportedly doubt whether the recent surge in al-Qaeda warnings is really of significance (see Mid-July 2001). And at a meeting on terrorism in April, he’d complained, “I just don’t understand why we are beginning by talking about this one man bin Laden” (see April 30, 2001). A warrant is issued for the arrest of Mohamed Atta in the state of Florida. On April 26, Atta had been stopped in a random inspection near Fort Lauderdale, Florida, and given a citation for having no driver’s license (see April 26, 2001). He failed to show up for his May 28 court hearing, resulting in the arrest warrant. After this, Atta will fly all over the US using his real name, and even flies to Spain and back in July (see July 8-19, 2001), but is never stopped or questioned. The police apparently never try to find him. [Wall Street Journal, 10/16/2001; Australian Broadcasting Corporation, 11/12/2001] Atta will be stopped for speeding in July, but apparently his arrest warrant will not have been added to the police database by then (see July 5, 2001). Three other future 9/11 hijackers are also stopped for speeding in the US (see April 1, 2001, August 1, 2001, and September 9, 2001). Curiously, on the day of 9/11, a woman claiming to be Atta’s wife will go to a Florida courthouse and attempt to clear this from Atta’s record, but Atta does not have a wife (see September 11, 2001). Future 9/11 hijacker Marwan Alshehhi possibly enters an airline cockpit using an alias. 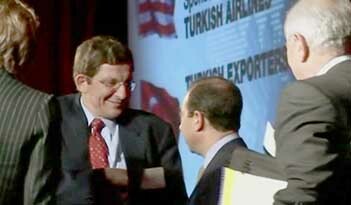 According to a 2002 FBI document about the 9/11 attacks, a person matching Alshehhi’s photograph but using the name Matthew Cohen boards an American Airlines Boeing 767 flight from New York City to San Francisco. This person asks for and gets a tour of the cockpit just before the flight takes off. He talks to the pilot and asks questions, such as how high and fast the plane can fly, and how much fuel it can hold. The pilot will later recognize Alshehhi from a news photograph. [Federal Bureau of Investigation, 4/19/2002] Another of the 9/11 hijackers, Ziad Jarrah, flies from Baltimore to Los Angeles on this same day, and then drives to Las Vegas, so perhaps Alshehhi is meeting other hijackers in Las Vegas (see June 7-10, 2001). FBI agent Robert Wright gives the FBI a mission statement he wrote that outlines his complaints against his agency. It reads, in part, “Knowing what I know, I can confidently say that until the investigative responsibilities for terrorism are removed from the FBI, I will not feel safe. The FBI has proven for the past decade it cannot identify and prevent acts of terrorism against the United States and its citizens at home and abroad. Even worse, there is virtually no effort on the part of the FBI’s International Terrorism Unit to neutralize known and suspected terrorists residing within the United States. Unfortunately, more terrorist attacks against American interests, coupled with the loss of American lives, will have to occur before those in power give this matter the urgent attention it deserves.” Wright asks the FBI for permission to make his complaints public. Larry Klayman, chairman of the public-interest group Judicial Watch, claims that regulations require the FBI to give or deny clearance within 30 days, which would have made FBI failures an issue before 9/11. 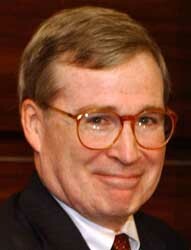 But the FBI delays making a decision and will only allow Wright to publicly reveal his mission statement in May 2002. [Cybercast News Service, 5/30/2002; Federal News Service, 5/30/2002] One month later, Wright and his lawyer David Schippers have a meeting with a reporter from the CBS news program 60 Minutes to express the concerns in his statement. He claims that he says it is only a matter of time before there will be an attack on US soil. However, he is prohibited by his superior from speaking to 60 Minutes or any other media outlet. [Federal News Service, 6/2/2003] Schippers will later claim that this month he also attempts to contact a number of important politicians with his concerns based on information from Wright and other FBI agents that he knows, but he was rebuffed (see July-Late August 2001). Fraudulent Features - The Commission will also suggest that one or more of Alghamdi’s passports may contain fraudulent features, but will claim that this is not certain, as Alghamdi’s passport was not recovered after 9/11. [9/11 Commission, 7/24/2004, pp. 563-4; 9/11 Commission, 8/21/2004, pp. 42 ] This is an error by the Commission, as Alghamdi’s passport will actually be found after 9/11 and the Commission will be aware of this (see Shortly After September 11, 2001). 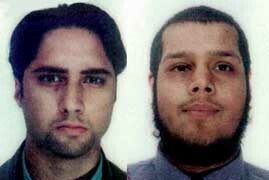 Following a meeting at which FBI agents investigating the attack on the USS Cole were shown pictures of operatives who attended al-Qaeda’s Malaysia summit, including 9/11 hijackers Khalid Almihdhar and Nawaf Alhazmi, but were not given all the relevant information (see June 11, 2001), deputy head of the investigation Steve Bongardt continues to ask for the material, but FBI headquarters fails to provide it. Bongardt apparently has “heated telephone conversations and e-mail exchanges” with FBI headquarters agent Dina Corsi over the passage of the information. [US Department of Justice, 11/2004, pp. 291, 294 ] Bongardt will tell the 9/11 Congressional Inquiry, “I’ve had several conversations with the analyst [Corsi] after that, because we would talk on other matters, and almost every time I would ask her, ‘What’s the story with the Almihdhar information, when is it going to get passed, do we have anything yet, when is it going to get passed,’ and each time I was told that the information had not been passed yet. 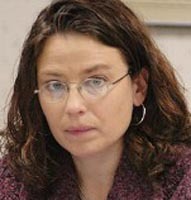 And the sense I got from here, based on our conversations, was that she was trying as hard as she could to get the information passed or at least the ability to tell us about the information.” [US Congress, 9/20/2002] But in fact Corsi does not appear to take any steps towards having the information passed to the Cole investigators for two and a half months after the meeting. Part of the relevant information is from a wiretap on Almihdhar’s phone (see Shortly Before December 29, 1999) and, due to measures related to the “wall,” the NSA general counsel has to approve its passage to criminal agents. Corsi finally asks the NSA to approve passage of the information on August 27; the NSA immediately agrees, but Corsi continues to withhold the information from Bongardt (see August 27-28, 2001). The other part of the information consists of photos of the two hijackers in Malaysia with other extremists (see January 5-8, 2000). Corsi will later say she “probably” has follow up conversations about passing the photographs with the two CIA officers, Tom Wilshire and Clark Shannon, who gave them to her (see Late May, 2001), but these alleged conversations do not result in the photos being passed to Bongardt, even though Wilshire will later say that, as far as he was concerned at this point, they could be distributed through the FBI. [US Department of Justice, 11/2004, pp. 294 ] After Corsi is told that Almihdhar is in the US (see August 21-22, 2001), this information is made available to intelligence investigators at the FBI (see August 28, 2001), but not to the team investigating the Cole bombing (see August 28, 2001). 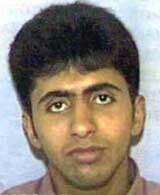 9/11 hijacker Salem Alhazmi enters Saudi Arabia from the United Arab Emirates (UAE). [US District Court for the Eastern District of Virginia, Alexandria Division, 7/31/2006, pp. 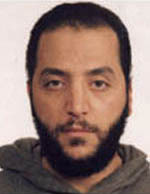 35 ] According to the 9/11 Commission, Alhazmi has had a passport with an indicator of Islamic extremism (see April 4, 1999). Such indicators are used by the Saudi authorities to track some of the hijackers before 9/11 (see November 2, 2007), so the Saudis presumably register his arrival.